OSWEGO – The Oswego County Historical Society will host a presentation entitled “Honoring and Remembering the 100th Centenary Memoriam of Dr. Mary Walker” on March 24 at 1:30 p.m. at the Community Room of the Oswego Public Library at 120 E. Second St. The guest speakers will be Oswego County Historian Justin White and Oswego Town Historian George Demass. This program coincides with the 100th anniversary of the death of Dr. Mary Walker on February 21, 1919 in her native town of Oswego. This event is part of the annual national Women’s History Month. 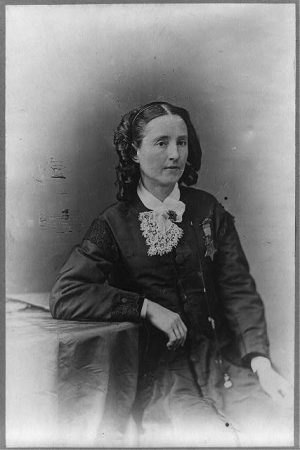 Dr. Mary Edwards Walker was born on November 26, 1832 at the Walker family farm on Bunker Hill Road in the town of Oswego. 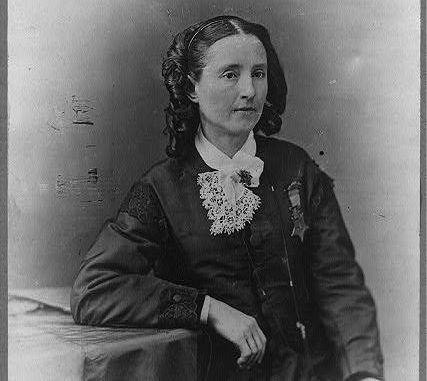 She is nationally recognized as the first and only woman ever awarded the Congressional Medal of Honor for her heroic medical services during the American Civil War. In Dr. Walker’s proudest moment, President Andrew Johnson presented her with the medal as the nation’s highest military honor on November 11, 1865. Dr. Walker lived her life in the moment and never stopped her tireless efforts to create equality and civil rights for women. She was a pioneer as one of the very first female physicians in the United States, graduating from the Syracuse Medical College in 1855. She was a crusader in dress reform, social equality and the suffrage movement. Her death occurred one year before the 19th Amendment to the United States Constitution which granted American women the right to vote. “For most of the local history enthusiasts, Dr. Mary Walker needs no introduction. Yet, we are constantly learning more about her remarkable life. She has been a subject of many books about her life story that highlight the many accomplishments she made in her life and the continuous struggles she faced in 19th century society. This presentation will tell her story in her own words and from those that knew her,” said White. The program will showcase a timeline of Dr. Walker’s life along with many photographs of her. It will include images of her personal belongings, some of which are currently on display at the Richardson-Bates House Museum and the Oswego Town Historical Society. The presenters will highlight information about the collections of Dr. Mary Walker which were donated by her relatives. Demass and White have been a proponent of Dr. Walker’s life for many years during their tenures as public historians. Dr. Walker was a published author of two books. Her first book HIT was published in 1871. Her second book, published in 1878, was titled Un-masked or the Science of Immorality: To Gentleman. Demass will highlight parts of Dr. Walker’s second book, which is lesser known and more rare to find. “It will be new information about Dr. Walker’s incredible story,” added Demass. The museum is open April – December for tours Thursday – Saturday from 1 to 5 p.m.